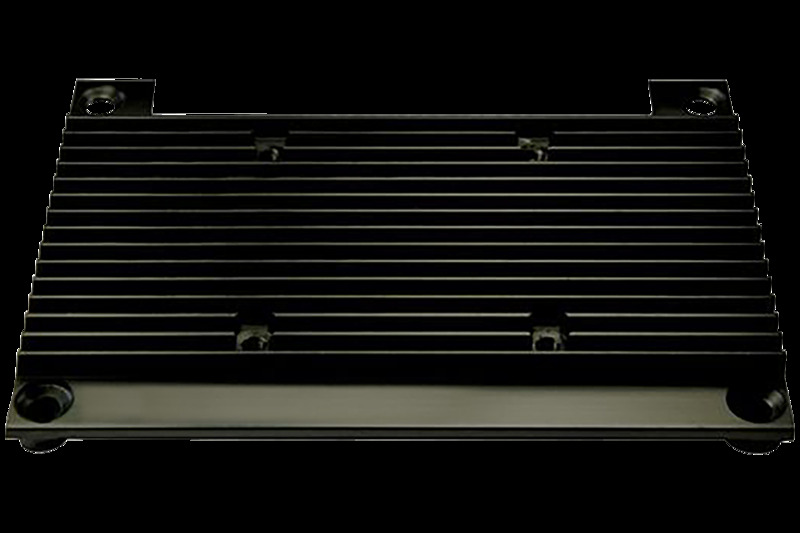 The Ixora carrier board is compatible with the Apalis Arm family of modules. The Ixora carrier board packs a large number of Apalis features into a very optimised small form factor which has been designed to be cost effective in small to medium volume applications. 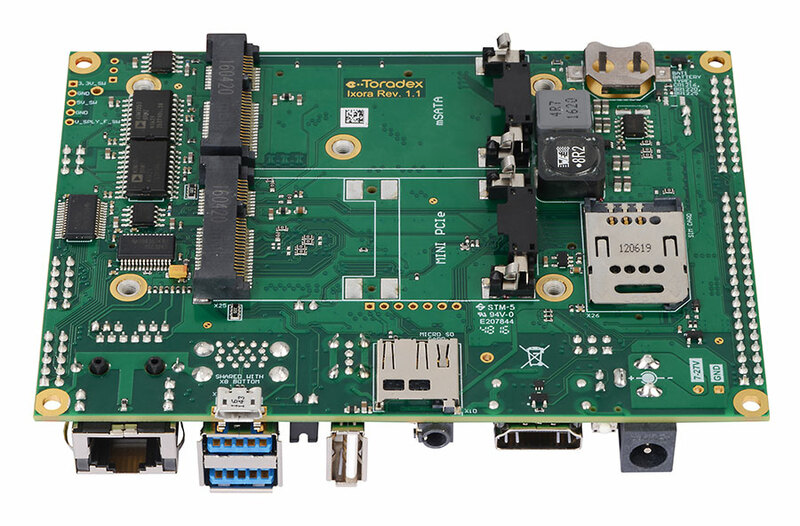 It is designed to be used with the Apalis iMX8 (based on NXP® i.MX 8QuadMax SoC), Apalis iMX6 (based on NXP® i.MX 6 SoCs), Apalis TK1 (based on NVIDIA® Tegra™ K1 SoC) and Apalis T30 (based on NVIDIA® Tegra™ 3 SoC) Computer on Modules. 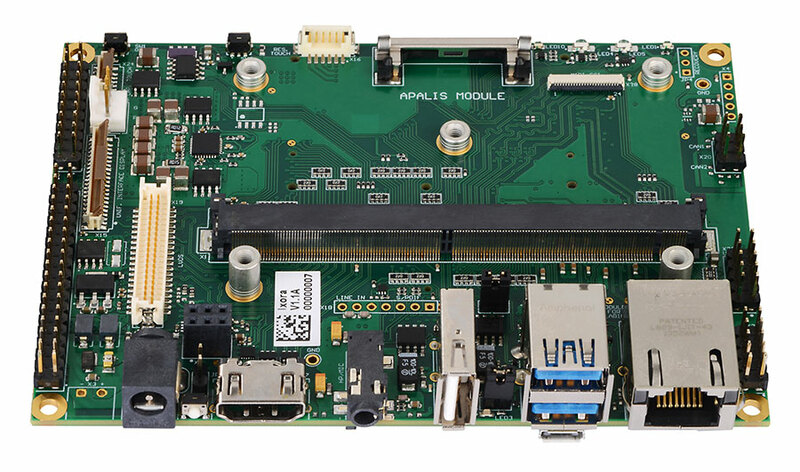 The majority of standard interfaces supported by the Apalis modules are supported by the Ixora carrier board using a combination of real-world connectors, card slots and 2.54 mm pitch pin headers. High-speed interfaces include Mini PCI-Express, MicroSD, Gigabit Ethernet and mSATA. 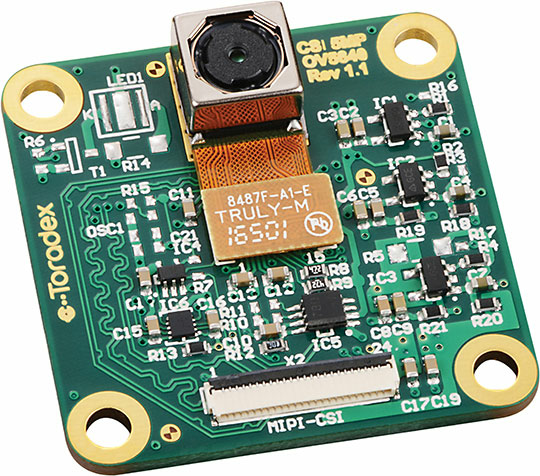 Support for common industrial interfaces including I2C, SPI, RS232, CAN and GPIO makes the Ixora carrier board perfectly suited for industrial and embedded applications. 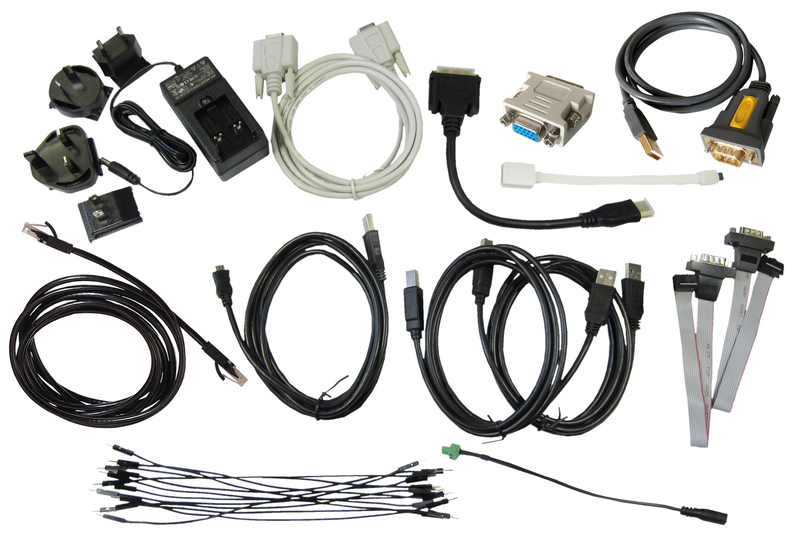 Supported multimedia interfaces include HDMI, LVDS, TFT LCD, Digital and Analogue Audio, 10 bit parallel camera interface, MIPI Camera Serial Interface, and Resistive Touch. Notes (1) Toradex's commitment is made to the product - not to a specific version of the product. No external power supply required, 24 way 0.5mm pitch FFC cable included in scope of delivery, 0° to 70 °C Temp, Range. Size: 35 x 35 mm. Currently low stock level. More coming soon. Please contact us for details. In Development: Products listed in this state are still in their development stage. Samples will be available for purchase in our Webshop soon. Sample Product: Sample Products are available for purchase in lower quantity. Such products can be new products or updated versions of an existing product. Please note that the products listed under this state are subject to change without prior notice from Toradex. Volume Product: A Volume Product is in mass production and available in high volumes. Customers will be notified about any changes and they will have the possibility to place Last Time Buy (LTB) orders for a change of a Volume Product. Note: Toradex guarantees minimum availability for products - not for a specific version of a product. Product Change Notification: Product Change Notification (PCN) marked products will undergo a change in the near future. Before buying these products, customers are requested to check the product changes and product availability in the PCN document attached on the Product Revision History. Samples will be available for testing in case there is a successor product or version. Evaluation Product: Evaluation products are available for low volume purchases. These companion products allow customers to test and evaluate certain functionalities of Toradex volume products. Evaluation Products are subject to change without prior notice and Toradex doesn’t guarantee a minimum availability.